Cherie Sampson is an artist working in environmental installation, performance and video art, creating projects in wilderness and rural settings in the U.S. and abroad, including woodland, mire and boreal landscapes. Historical, cultural and elemental layers of the site are integral to the working concepts and materials, where she often integrates her body in the landscape in performances for the camera and live audiences. 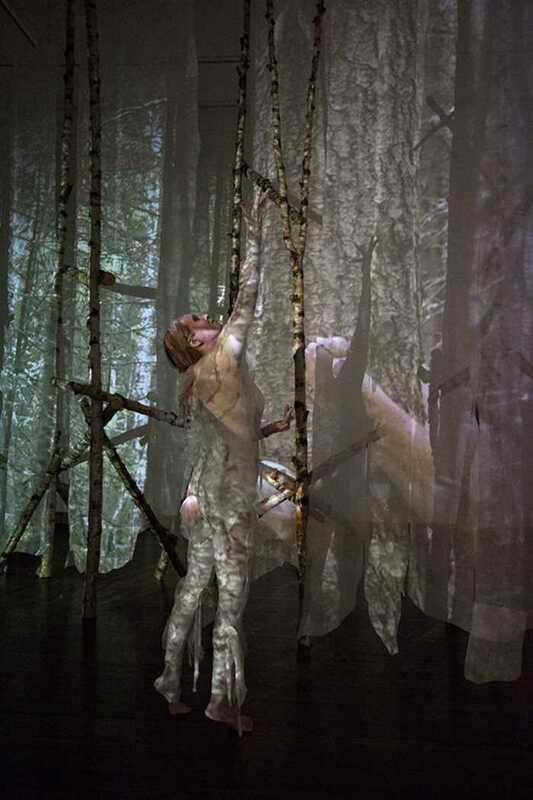 She has exhibited in live performances, art-in-nature symposia, video screenings and installations including in Finland, Norway, Netherlands, Italy, Cuba, Greece, France, and Hong Kong, and in U.S. galleries and festivals. A member of Artists in Nature International Network (AiNIN) and two time winner of Fulbright Awards (1998, 2011), Cherie shares her experiences with Ag Arts, farm workers, found natural materials, ethnographic research, and arboreal forests.